I first began to learn and practise Qigong after recovering from an episode of pneumonia that had landed me in hospital. I recognised that my busy stressful work and lifestyle at that time had contributed, so I sought to achieve some balance in my life. I had attended several of Simon Blow’s Qigong retreats at Sunnataram Thai Forest Monastery and found them incredibly restoring and beneficial and so jumped at the opportunity to attend a retreat there specifically devoted to Da Yan. I really liked the idea of applying myself wholeheartedly to learn a new form. That first Da Yan Wild Goose Qigong retreat was the first of many more that I have attended at Sunnataram, Bruarong and in China. Da Yan is such a beautiful form to practise in a group and the more I learn and practise this form, the more I gain from it and love it. I have been very fortunate to spend time learning Da Yan Gong with Master Chen in China in the summers of 2011 and 2012. What a privilege to spend time with and learn from this very great but humble, cheerful man who is so full of life and energy. Learning from Master Chen is so special because he is directly descended from those who first developed this ancient art. His energy is truly palpable. He is passionate about maintaining the form true to the teachings he has received and his passion is contagious! Qigong is the practice of working with the energy of the body, by way of mindful movement, mindfulness of thinking (or non-thinking) and mindfulness of breathing. Practising Qigong makes me feel whole and in spiritual balance. I move more smoothly and am stronger and more flexible when I practise. I feel connected internally with the earth and with the universe. I always feel very connected to and grateful to my teachers when I practise. To me Qigong is akin to a universal prayer. I am calmer and more mindful when I practise regularly and so more able to respond to others’ needs in a helpful way. Qigong helps me to feel whole, in balance, connected and fluid, rather than stilted. Of all the forms I have learned I have found Da Yan to be the most beneficial. I feel so well physically, emotionally and spiritually when I practise Da Yan regularly. I understand what matters is this moment right here and now. Experience this moment without expectation and allow nothingness. Thank you Simon for all the time and effort you have put in to enable us to experience Da Yan Gong through Master Chen and for the tremendous work you are doing to keep Da Yan true and accurate to his teachings. I have been practising Qigong for thirty years on average about ten times per week. It was recommended as the best exercise program for my recovery from Post Viral Chronic Fatigue Syndrome. After about six months of practice I decided I would do this for the rest of my life. Some of the other Chinese healing arts that I have used include acupuncture, massage and Chinese herbs. I am fitter and healthier now than I was thirty years ago. I saw a demonstration by a Chinese Master of the Da Yan Wild Goose Qigong twenty-five years ago and thought it was the most amazing thing I had ever seen. Since then I have worked with books, DVDs and learned a short version, but it wasn’t until I learned from Simon that I fully appreciated the depth, beauty and intricacies of the Da Yan. It helps to balance the energy which flows through the meridians in our bodies and connects with the energy of the universe. It makes me feel fantastic and at peace. I often go to another place. I get to the end of a set and can’t recall how I got there, even though I have done it perfectly. It keeps me flexible and fit, both in body and mind. Qigong had helped me to be mindful in everything I do. I have learned to be patient and understand things will work out for the best in due course. In my opinion it is the best exercise anyone can do. As well as benefiting all the systems of the body (cardiovascular, muscular, skeletal, nervous, digestive, etc) it helps with energy (Qi) flow and is great for the mind. Use it or lose it! I have been practising for three years and on an average I practise five times per week for about half an hour each session. I was attending a workshop with Simon where we did some Qigong and then a meditation followed. I still remember Simon saying, “Return to the nothingness, because in the nothingness there is no disease, there is only nothing.” I felt that space of nothingness and decided I would like to learn more Qigong to return to the nothingness. I also currently practise Shiatsu which I consider a Chinese healing art and another form of Qigong known as Zhineng Qigong. Many years ago I learned Tai Chi which I did for several years. Qigong is an exercise or movement that encourages the Qi (energy) to flow. I believe over a period of time it can help to clear stagnation in the meridian channels and improve the flow of Qi to all the internal organs, bones, blood etc. It definitely relaxes me and quietens my mind and I feel good doing something positive for myself. I believe over a period of three years that my Qigong practice has helped me to be more peaceful and grounded. It is like my friend, so no matter where I go I can do it and it offers me stability. I believe it has helped with my circulation as I don’t feel the cold as much in winter. It has also helped me with flexibility. Repeating the same routine each day is a good gauge as to how my body is feeling on that day. Just tuning into Qi and feeling the Qi helps with my Shiatsu practice. I’ve been practising Qigong for about fifteen years. I practise five or six times a week. I love the idea of training the mind, breath and body and finding balance and calm in my life. I also find the flowing movements suit my nature (I studied ballet for many years when young), because it is expressive of the beauty of the mind and body working in harmony. Qigong rewards persistence. I enjoy practising by myself, as well as teaching small groups. I maintain flexibility, can correct my posture and manage back and neck problems if I practise regularly. The opportunity to learn from Master Chen in China was too good to miss. Before that visit, I hadn’t heard of Da Yan Wild Goose Qigong. It was life-changing. Master Chen’s revelation of his family’s ancient practice was both humbling and exciting. It is such a beautiful form, both to watch and practise. I found the depth of twenty-seven generations of observing nature, refinement of the gestures and beauty of the movements to be profoundly moving. It was also physically and intellectually challenging to learn the form. I felt very fit by the end of the course! I understand Qigong to be a practice whereby Qi is fostered and trained so that a state of harmony of mind, body and spirit is achieved. 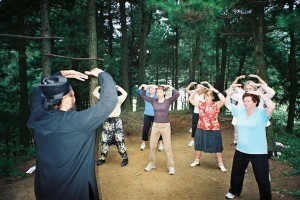 Qigong training promotes health, well-being and long life. You become aware through practising the inter-connectedness of the body and mind. I feel strong, calm and balanced after practice. It takes me quietly through busy days, helps me to sleep and according to my husband, I ‘glow’ with energy post-practice. I’ve benefited in many ways from Qigong. In physical terms, I’m stronger, have better balance and coordination and my muscles and joints are moving freely. I can recognise symptoms of anxiety and use my practice to slow things down in my mind and body when it all gets too hectic. Qigong is also a wonderful aid to recovery from illness and surgery. I’ve learned that you never stop learning! Qigong practice always has something new to teach you, to reveal to you if you are open to hearing and acting on the messages the mind and body are sending you. It’s interesting that a practice that is focused on the self makes you more compassionate toward others. In nurturing the self, we give ourselves room to be more open-hearted and aware of other people. I enjoy meditation as part of Qigong. Partly because it balances ‘action’ with ‘inaction’ and because it focuses on the wholeness of human experience. I think too, that it is a practice for life, as it becomes an integral part of your day. I expect to be practising Qigong for the rest of my life. I have about eight years’ experience in Qigong and in the last five years I have become very regular in my practice. I practise now at least three times a day on my own (Wild Goose just after 5am) and teach Qigong and Tai Chi five days per week. Fortunately I get at least one and a half hours’ practice each day. 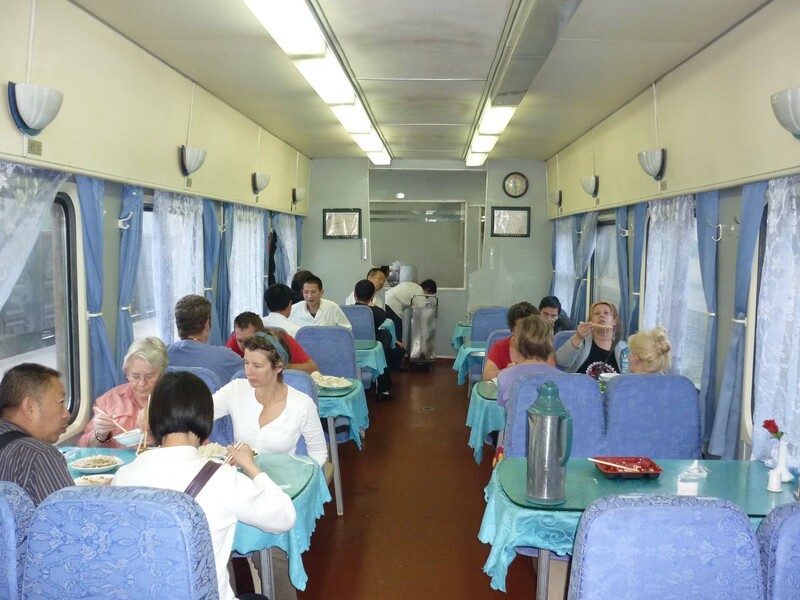 Learning Tai Chi in a musty hall in Sydney in 1988 gave me the first taste. My main incentive was for relaxation and health and in 2006 I became a fitness instructor and used Tai Chi in my classes. I studied a couple of courses and developed both my Qigong and Tai Chi from there. I practice and teach for my and others’ relaxation and healing. I love how holistic and spiritual it is. I believe Qigong it is an ancient art of working with energy to increase one’s health, vitality and quality of life. It involves gentle exercise to stimulate and open the energy channels throughout the body, mind and spirit. It is accessible to all who are able and willing to engage in it. Qigong makes me feel fantastic- alive, centered and connected. I am a doer, so taking action on a regular and ongoing basis with Wild Goose each morning gives me nurturing time and nourishment for myself! I am finding it easier to focus on present tasks, listen more and have a satisfying spiritual connection throughout the day. I’m frequently learning and being reminded that we are all one, that thoughts come and go and that the real thing is in the present experience. It helps me let go of ‘wanting’ and ‘regretting’. I am engaging more with people I spend time with and tasks I enjoy. Life is somehow more flowing with the regular practice of Qigong, so most of all I am learning (work in progress) to let go of the notion that I am ‘in control’ and of being ‘all responsible’. The great mystery of Qigong is that the gentle ‘doing’ has a wonderful effect without needing to engage with the head. I trust that it is good for me. I relate to the journey of the geese, having moved so frequently in my life; the sense of leaving home on a journey and returning to home. The main part is the getting there and the leaving from there. While I am making a home where I am (in the last two years), it isn’t just the physical location. It’s the journey of life which is becoming more important, with the security of knowing my home is my base. The flock I move with is my mutual support. I have been practising Qigong for four years. When I’m in the groove, I practise it three times per week. Otherwise, I often go through the Wild Goose in my mind when I lie in bed. Originally I was told about Qigong by a naturopath. I had fourth stage cancer and after attending my first retreat I knew that this was a great practice for me and that I would continue to explore it. Each time I do a retreat I feel more connected with the flow of energy in my body. It makes me feel vital and I seem to stand taller and am more alert. It really is wonderful. Doing the movements in a Qigong sequence is about connecting with the subtle, internal flow of energy in the body. 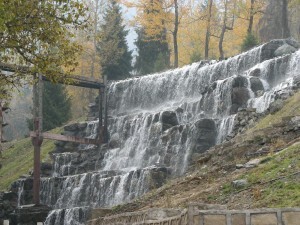 Initially it is difficult to perceive the connection points, but with time and practice these connections become stronger. It is one of the most beautiful forms of body/mind/energy connections I have experienced. Qigong makes me feel centered and balanced. I find I am calmer and more able to be the mindful person I wish to be. I have learned that I can laugh and sing like a child, and feel liberated of the day-to-day challenges in life. I have learned that I can feel like a whole person. I have been practising for eight years and I now practise on average six days a week. I was in a lot of pain and had difficulty walking. My search on the internet and literature indicated Qigong could relieve this. I had used acupuncture on and off for about ten years whenever I twisted a knee or ankle and Chinese massage weekly for a couple of years for leg pain. The death of our dog left a huge void in my early mornings, when regardless of the weather, he insisted that we go out! Eventually I replaced our stroll around the beaches and headlands with the Wild Goose. First, I see Qigong as a form of exercise. The Wild Goose in particular, with its 128 movements, includes a huge variety of movement and stances, together with essential breathing and mental applications. These all seem to encompass the requirements to maintain body strength, balance, and flexibility and mind power. 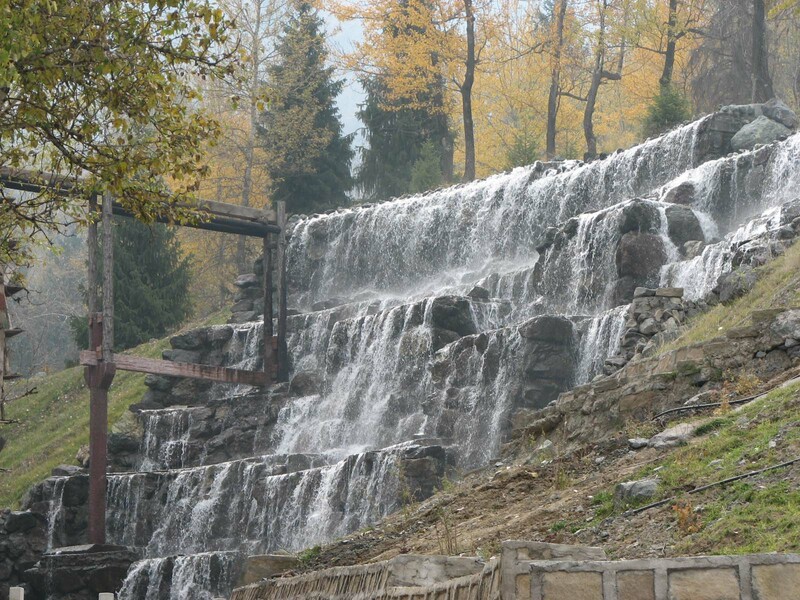 As a philosophy it encompasses all the facets a person needs to live in harmony with nature, other people and oneself. Qigong makes my blood flow, my body loosen, my joints become more flexible and my mind clearer and I feel ready to face the world. My balance and confidence have improved. I can now stand for the duration of the class without grasping for support. 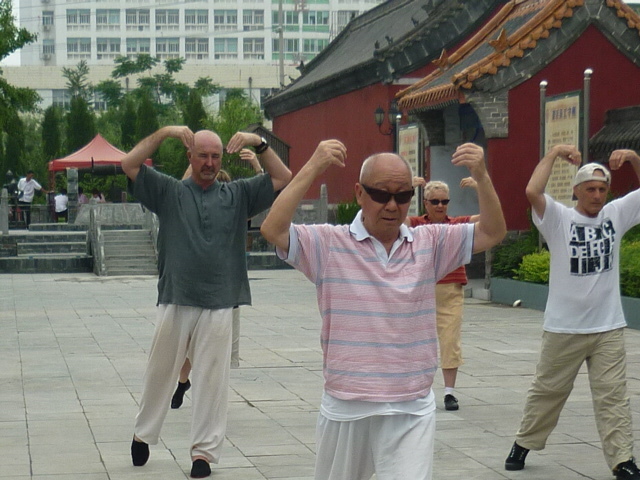 Qigong practice is a continuous learning curve and Qigong’s simplicity is what recommends it. You can practise without any equipment, anywhere, anytime, in any weather at no cost and you need no special clothing. I have been practising Qigong for five years now, and I average three practice sessions each week. I initially joined an exercise group run by U3A (University of the Third Age) where they worked from several different DVDs. Then Master Simon Blow visited and presented several workshops in the area and I was hooked. I have found it very helpful in maintaining flexibility and energy for more adventures. There is still so much to learn (I am now an octogenarian). I studied with Grand Master Chen in China in 2009 and I found him a very interesting and delightful man whose family and students worked hard to pass on their knowledge. We worked hard, physically and mentally, to absorb so much in a short time. It was well worth the effort and a real privilege to have had the opportunity. Qigong gives the body a chance to balance itself through a series of movements developed to promote the free flow of energy throughout the body and thus stimulate all systems. Qigong makes me feel calm and relaxed but remarkably energised. I might feel I’m too busy but if I start the day with my favourite, I find I get much more achieved. I’ve learned to keep an open mind and not to be afraid to explore new ideas. I was wearing a brace on my right leg for osteo-arthritis in my knee but have abandoned that now. My knee still ‘clicks’ but now it has full movement and seldom do I have any discomfort. I bless the day Simon Blow held some workshops in our country area and I went along. It was so worthwhile that when I found he was taking a group to China to learn Wild Goose I was lucky enough to be able to join in. What a wonderful time it was. I enjoyed the whole experience and loved the way passers-by would just join in practice sessions. The concept is obviously a complete way of life. 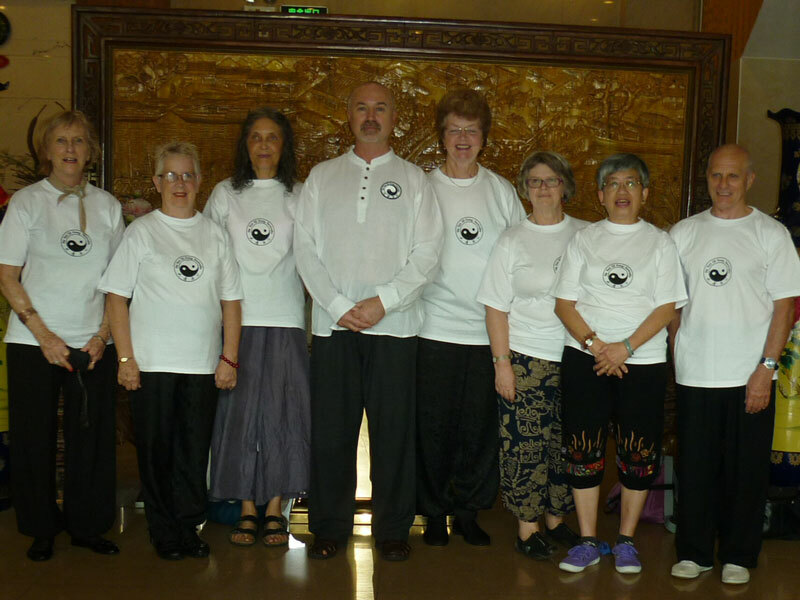 I have been practising Qigong for sixteen years now and teaching it for five years. I practise nearly every day and feel restless if I don’t. Sixteen years ago I was diagnosed with osteoporosis and shortly after that with osteoarthritis. I decided not to take any medication which had possible serious side effects and chose instead to try to heal myself with Qigong and the use of mineral and vitamin supplements. I have also had acupuncture treatments, often use acupressure on myself, have practised the heavenly orbit meditation regularly and have used Chinese herbs and ointments. When I saw Simon demonstrating the first Da Yan form a few years ago, I knew that I had to learn it. It felt like the right thing for me to do and so I let go of the other Qigong forms I had been practising for over ten years. I loved working under Master Chen in China for he seemed so strong and happy despite his advanced age. He was encouraging at all times but always made sure he corrected imprecise movements and mistakes. I felt my Da Yan got so much stronger from understanding his explanations on Qi flow and focus and I always felt an incredibly strong field of energy when he was working with us. I did not experience any of my crippling migraines despite the high heat and humidity and felt happy and balanced while I was there. Qigong is for me the cultivation of internal energy through movement, breathing, meditation and study. It nurtures the health of our whole being in which circulates the earth and heavenly Qi. It allows us to feel and be part of the universal energy which is in us and everywhere around us. It makes me feel complete and often fills me with inner peace and happiness. I feel it’s keeping my osteoporosis at bay and helps me remain strong and flexible. My headaches and migraines have become less frequent and I rarely use painkillers nowadays. It has made me a much more balanced person both mentally and emotionally. I guess I have learnt to trust myself more, to feel more confident about my actions and intuitions. I have also learned that helping people feel happier through teaching and practice is one of my most important achievements, besides being a parent. Simon’s greatest gift is his ability to make complex concepts so accessible to all people. His teaching is so clear yet so simple and profound that everybody feels included and encouraged to advance further. As a Qigong teacher this is what I hope to achieve in the future. I have been practising Qigong for about thirty years and have always been more interested in the internal, rather than the external form. Qigong is a part of my life. I practise it every day and also attend class three times a week. I started Tai Chi classes when I was working full time and completing a master’s degree. I felt pretty overloaded at the time. I found that Tai Chi helped me relax and made me more able to cope with my work and study load. When I attended my first class I was hooked. I started with the external form and somewhere on my journey I discovered the internal form. Learning, practising and teaching Qigong is now an integral part of my life. I just love the sense of peace and harmony that I am left with after I practise. Words can’t explain how privileged I felt to be able to learn Da Yan Wild Goose from the 28th Generation Lineage Grand Master. I honour and respect Master Chen as my Lineage Grand Master. He is a wonderful, generous man who has a wealth of knowledge that he is more than happy to share. The icing on the cake is Master Chen’s wonderful wife who also contributes to the teaching. Madam Chen is a kind, caring lady who I look forward to catching up with each time I visit Wuhan in China. I now take time to ‘smell the roses’. I feel healthier. I am now more appreciative of life and my life has better balance. I am now more able to ‘let go’. Where the mind goes the Qi follows. Anyone can practise Qigong. I have been practising Qigong for more than ten years, and prior to that ten years of Tai Chi Chuan. I love my daily practice and at least five days each week I do a morning practice. I found a deeper connection with Qi when I started classes with Simon in Sydney in 2007. Since then I have been teaching Qigong on the Central Coast of NSW. 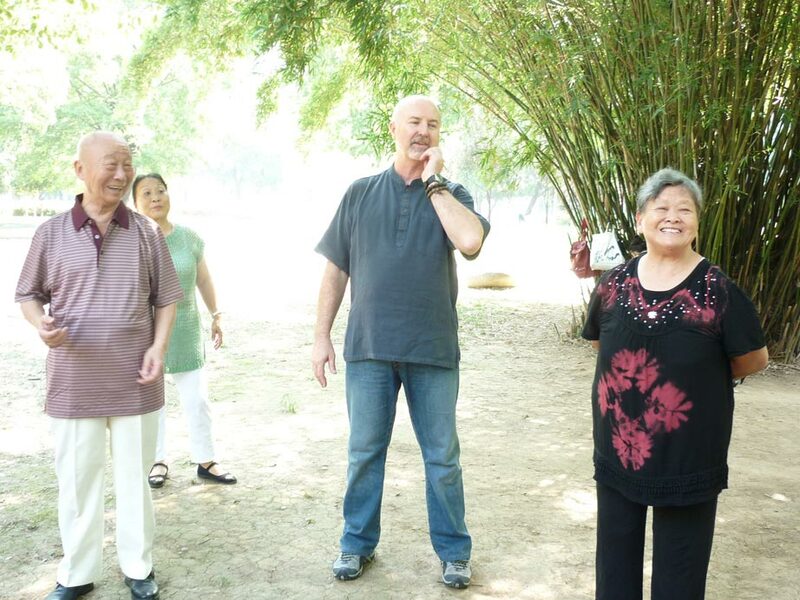 My first trip with Simon to China included visiting Wuhan, and I was privileged to be one of twenty Westerners to learn Da Yan Wild Goose with Master Chen. This experience has profoundly influenced my life and teaching ever since. Grand Master Chen is an inspirational teacher and passionate about Da Yan Wild Goose. He is also patient and generous with his time. I loved his style; as we practised he would sit quietly, seemingly not watching, then he would stand and surprise us by knowing each person’s weaker points, patiently showing us the movements, and then encouraging and praising us when we got it right. I have trained with him on three trips to China and loved every minute of the intensive training. Personally, it is a wonderful feeling knowing that at the end of the weeks’ training with Simon and Master Chen, I had achieved some mastery of the form. I was so inspired by Grand Master Chen and the practice of Da Yan Wild Goose that I applied for and was accepted as a lineage student of the Master. I had my initiation with two others in 2013. My goal now is to teach as many people as I can, staying true to the lineage and form. Qigong is a powerful Chinese remedial exercise and is a comprehensive approach to health and wellbeing. When practised regularly the benefits are cumulative. They can be subtle yet provide a feeling of balance in the mind and body, plus a deep contentment. I feel a deep connection to Qi when practicing, especially the Da Yan Wild Goose. I encourage my students to recognise the movement of energy in their bodies and to feel the Qi. When they do it is wonderful to see the smiles on their faces. Qigong allows me to be healthier, more disciplined with my practice and diet. When my mind is clear, I feel calm, less stressed, my energy levels are enhanced and I feel a vitality that I can only put down to my Qigong practice. Qigong has taught me to be more aware of how and what I feel, to listen to my body and to be kinder to myself. My Qigong practice has also given me the confidence to teach with diligence, and to inspire my students. Each day is a wonderful experience; life is good. Training with a Master like Simon Blow or Grand Master Chen is a must for any student of Qigong. It you get the opportunity, do it. You will have an experience you will never forget. I have been practising for one year, and I practise every day. My father started first and through him I became interested. It has helped my chronic gastritis. Qigong helps promote the circulation within the body and also connects the human body with its outer environment. Practising Qigong makes me feel warm, relaxed, light and emotionally positive. I believe it has also relieved pain from my neck and back. It is worth learning and practising persistently. I have been practising the Chinese healing arts for about twelve years and I practise on average seven times per week. Qigong was part of the Tai Chi classes that I attended, and then I became more interested in the health benefits of Qigong. I had also been studying yoga and meditation for many years beforehand. I found Qigong especially beneficial in the grieving process after my youngest son died. As soon as I started Da Yan Wild Goose Qigong I felt connected to the form and the overall health benefit as I progressed through the first sixty-four movements and then the second sixty-four movements. Learning with Grand Master Chen is a very special experience. His knowledge and understanding of Qigong is immeasurable. One gets the feeling of being in the presence of a true master of the form, yet he shows great patience and humility in the way he teaches. He also has a great sense of humour. Qigong is the study and cultivation of Qi or life energy in the body. It makes me feel energised yet relaxed. It certainly has a calming effect and I can deal with the ups and downs of modern life much better. I tend to not let the small things in life worry me and I live in the moment. Also it makes me feel stronger physically. I thank Master Simon Blow for his enthusiasm and commitment in his teaching. I enjoy the trips to China; they are a good mix of study and fun. Simon makes learning Qigong easy. He inspired me to become a 29th generation student of Grand Master Chen and he made me realise that I could teach. I have been practising Qigong for more than ten years and I practice three to six times a week. I had cancer treatment in 2002 and I wanted to maximise my health, both physically and mentally. I also think the meditation aspects of Qigong are part of a spiritual practice. 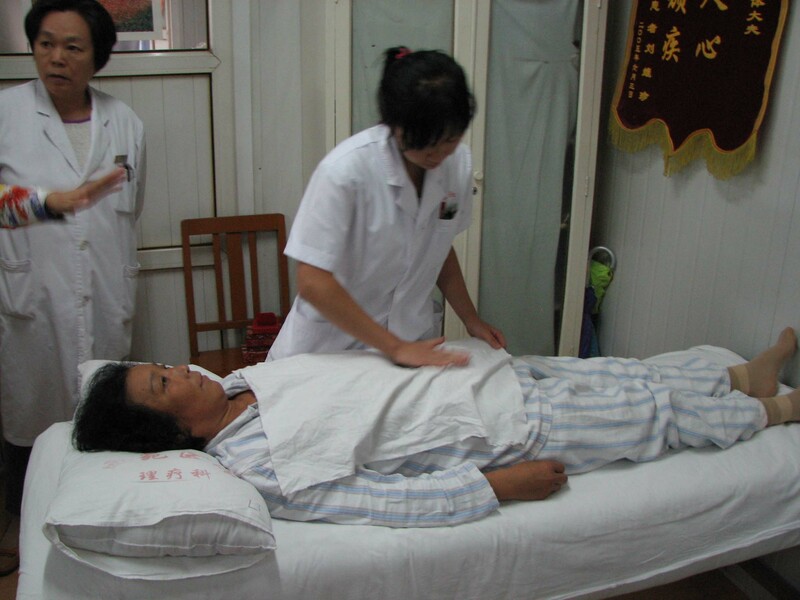 Some other Chinese healing arts I have used include acupuncture, massage and herbal medicine. I was very drawn to the Da Yan Wild Goose because of its high energy. It was a natural development from the other Qigong forms that I had been working on. 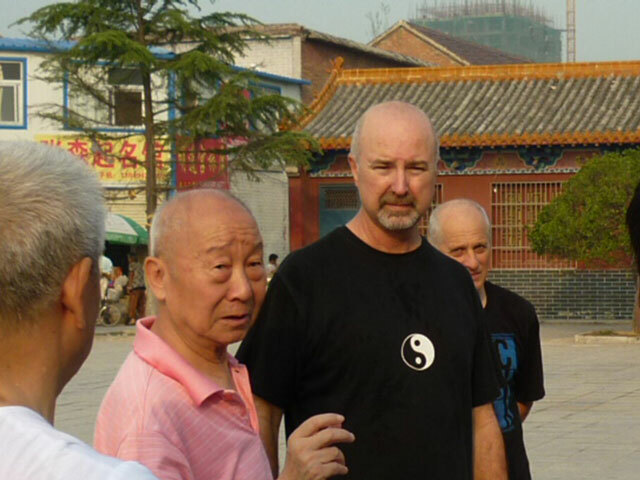 I enjoyed the focus and intensity of the work with Master Chen in China. It was both demanding and rewarding. I also appreciated the energy of working with other dedicated practitioners. Qigong is a meditative, grounding practice, coming out of both Daoist philosophy and Traditional Chinese Medicine. 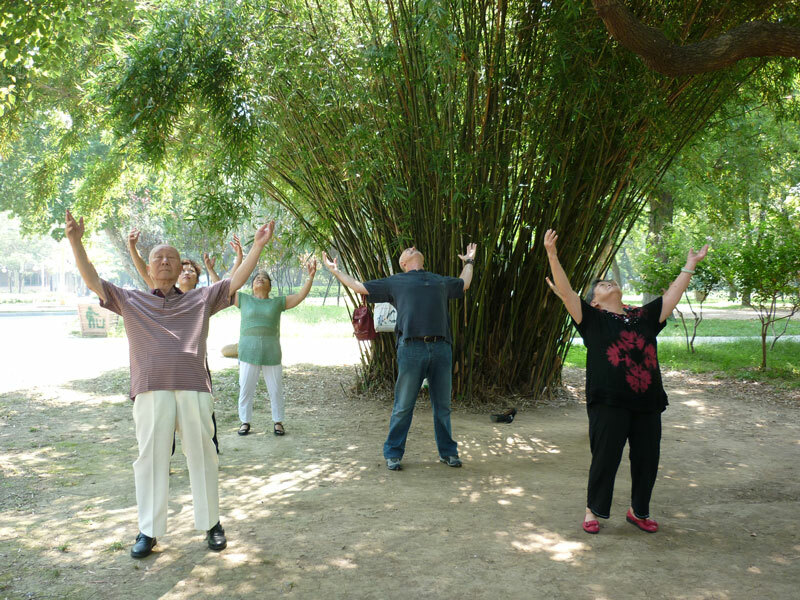 Qigong exercises the body, calms the mind and helps to connect mind, body and spirit. Qigong makes me feel calm, focused, happy and healthy. I have experienced improved health, both physically and mentally. I also experience an enjoyable connection with other people who value Qigong. I have learned that regular practice and a little self discipline is vey helpful in building a healthy life. I think the discipline of learning the Da Yan Wild Goose Qigong has been beneficial for my memory, as it is a complex practice. Qigong is my passion and has become my way of life. 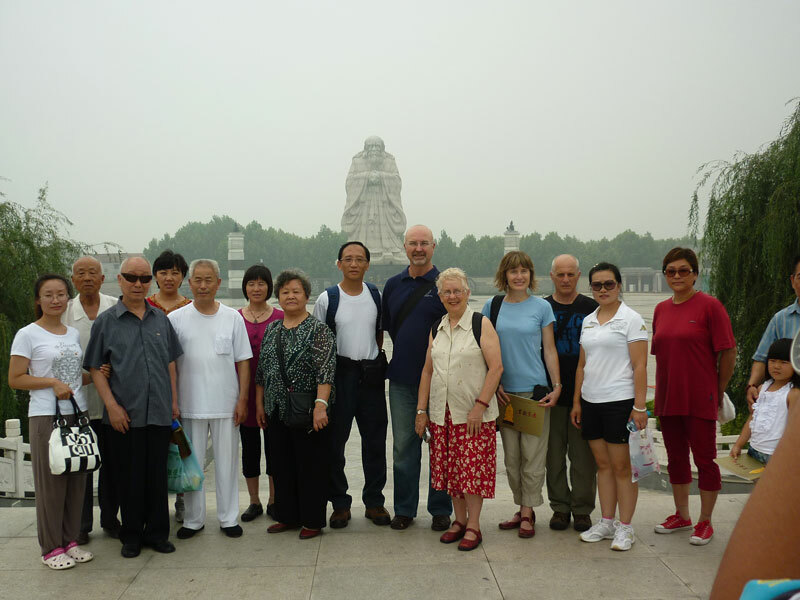 I have been a Qigong practitioner following a cancer diagnosis in 2008 and have been gradually building and expanding my theoretical and practical skills through attending workshops and retreats, including a tour to China. My philosophy and approach to daily living is using an integrated Traditional Chinese Medicine (TCM) model incorporating acupuncture, Chinese herbs, Tui Na and Qigong. The benefits accruing to me have included a revitalised spiritual awareness, reading and growing from studying Daoism and being overwhelmed by the transformative nature of my inner being, including a quiet stillness and an enjoyment of my natural surroundings. More than anything I have huge enthusiasm for wanting to share my knowledge with others and allow them to enjoy the healing that I have experienced. I have gained body strength, particularly in my legs and feet because I previously had difficulty standing for any length of time. My arthritic pain has reduced substantially, my blood pressure is controlled and my TCM practitioner has commented that there is less stagnation and a better flow of Qi through my meridians as a result of my regular Qigong practice. This means that there is less opportunity for blockages and illness to occur. I find myself smiling more and people commenting on this. My inner self seems to be shining through- something which I credit to daily Qigong practice. I have been involved with the Wild Goose since early 2013 and have found it an enjoyable challenge. The physical demands are quite energetic and the mental stamina required in learning the movements is rigorous. My journey is just beginning and I find my learning is greatly aided by the Master and more senior students. There is a genuine camaraderie amongst my fellow practitioners with all of us intent on mastering this form. Qigong consciousness transforms my inner being to infinity. I have been practising Qigong for about ten years and on average, I practise three times a week. I have studied acupuncture and Traditional Chinese Medicine and I understand and believe practising Qigong is good for a healthy body and mind. After reading an acupuncture medicine magazine it confirmed my decision to learn Qigong. It combines graceful movements and the stimulation of Qi flow in the body to improve health in a person. Learning from Master Chen gave me a deep understanding of what Da Yan Qigong means. I enjoyed his calmness, dedication and patience in passing on his knowledge and wisdom to students. It encouraged me to learn and understand more about Da Yan Qigong. To me Qigong is meditation in movement. The flow of Qi from the universe through my body and back to Mother Earth makes a full cycle like yin and yang in balance. The mind is still, the breathing natural and the movements slow and graceful. Therefore it joins the body, mind and spirit. It makes me feel calm, at peace, relaxed and my energy is replenished. There is a feeling of joy within. The philosophy and wisdom of Qigong helps me see what is happening around me in a different light. Experiencing the benefits of practicing Da Yan Qigong makes me want to share this ‘good thing’ with others. Not just the beautiful and precious movements but also the flow of Qi within the body. I want to pass on its philosophy to others too. This is the whole package of Qigong. I honour Simon as a true Master. I thank him from the bottom of my heart for his great work in promoting Qigong. 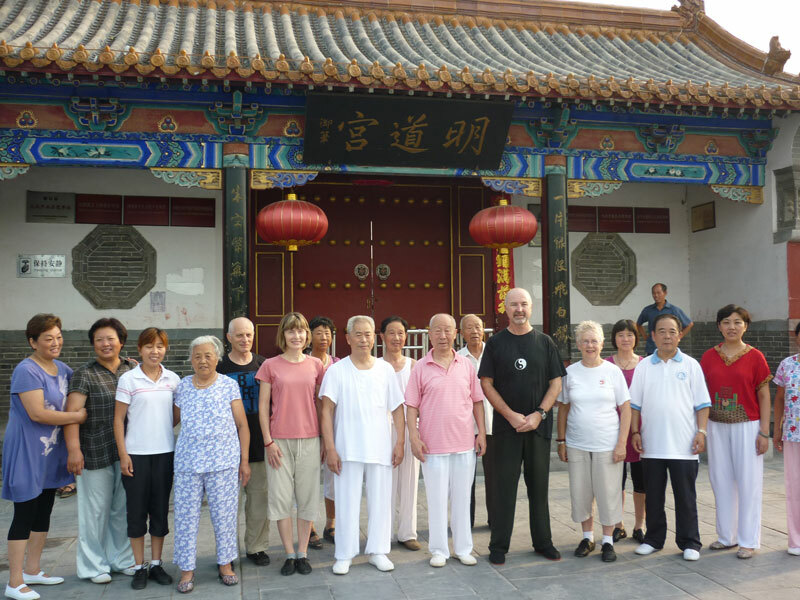 Because of his belief in sharing the goodness and benefits of practising Qigong, many of us have the opportunity to go to China to learn Qigong. On behalf of many of your students, I thank you once again.